Learn more about our Basic Alpine Climbing course and how to get involved. The 2015 Seattle Basic Climbing course will open for sign-up on September 15, 2014. Sign up opens for the 2015 Climbing course on September 15. Check the listing of Seattle Climbing courses. No application form is needed, so you are invited to sign up once the course appears. FAQ-Your survival guide to Basic Alpine Climbing may answer many of the questions you have about course expectations. 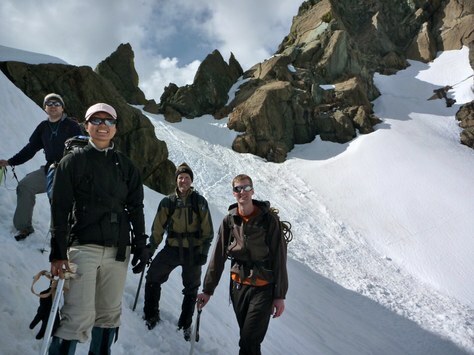 Look at information about the 2014 Basic Alpine Climbing Course. This information will be updated for 2015 in the upcoming weeks. And, we will try to monitor, on a weekly basis, comments/ questions you may post below.